Haflin is a wonderful option for hikers who want to spend more time on the trail than in the car. 10 miles round trip with a steep, steady climb won’t disappoint those looking for a challenge as well as a photo-op. 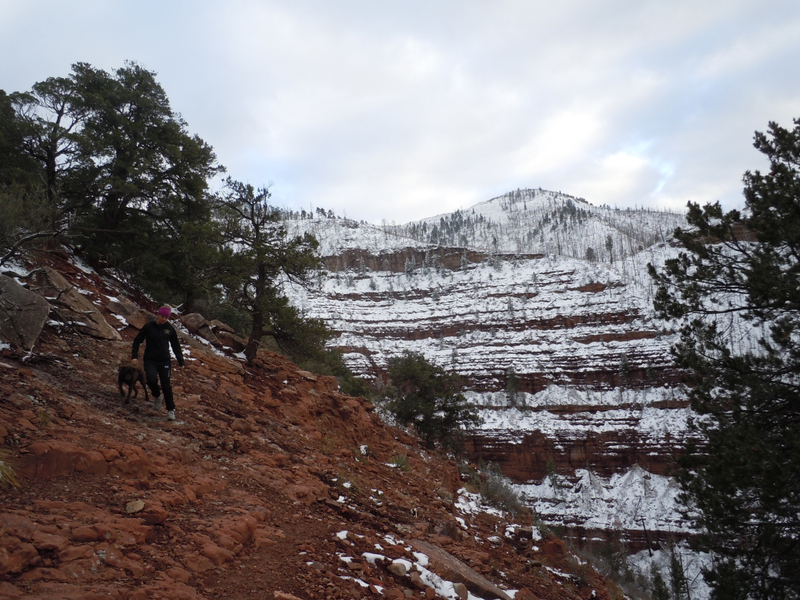 After a significant elevation gain in the first section, through steep red rock cliffs, the trail begins to travel east to the next layer of the mountain. It will briefly drop into a creek bed, though one should not rely on it as a constant water source, especially in the dryer months of late summer and early fall. Cross the creek bed, keeping an eye open in a potentially overgrown bank for the trail, maintaining an eastern travel and gradual climb. This middle section is a nice respite from the steeps of the first section and the last pitch, which is yet to come. Many of the trees were burned or partially burned in the Missionary Ridge Fire of 2002. The Missionary Ridge fire is the third most destructive fire in Colorado’s history (by acreage). Over a decade later and travel through the middle section of this hike may be hampered by deadfall and other natural obstructions. Continue on; the trail will begin to climb for the final time as it switchbacks through wildflowers and alpine vegetation. A 10 mile round trip that climbs over 3,000 feet and is less than 7 miles from the city limits makes Haflin Creek Trail a phenomenal early-season challenge. While higher elevations are still caught between mud and ice, Haflin is in full bloom. Haflin Creek trail is a hike that goes from the verdant floor of the Animas Valley to the top of Missionary Ridge. It climbs a few thousand feet over the course of 5 miles through the sparse desert red cliffs, the burnt aspens from the Missionary Ridge fire, and the lush flowers and undergrowth thriving in the sun. Because of the quick ascension, hikers have the opportunity to witness several vegetative climates. Hikers looking for a long day-hike to witness the variety of wilderness that Durango has to offer will love this trail. 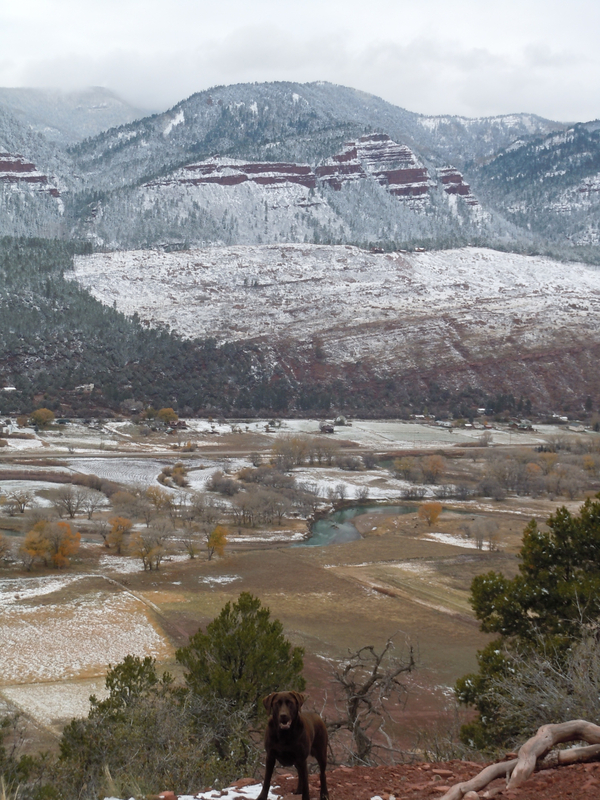 The variety of scenery is rich and the westward views of the Animas Valley picturesque. The hike tops out at 9,600 feet. The view, though not above tree line, extends beyond the Animas Valley to the hills and mountains to the west and north. Large herbivores such as elk and deer live in the secluded heights of Missionary Ridge, as are mountain lions, though they are rarely seen as they avoid groups. To reach the trailhead, drive north on County Road 250 for approximately 7 miles. The trailhead and limited parking are on the right next to the cliffs. No parking fee is required. The trail begins to climb quickly in switchbacks on the west facing cliffs, viewing the valley below with each turn. Dogs are permitted at Haflin Creek Trail in the San Juan National Forest, but as previously mentioned beware of large fauna. Deer and elk, not just cougars, can be dangerous, and all dogs should be under voice control.